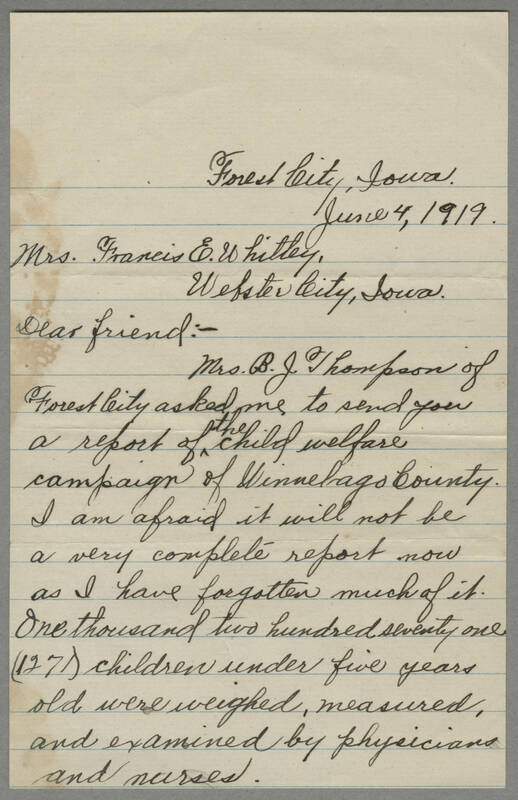 Forest City, Iowa June 4, 1919 Mrs. Francis E. Whitley Webster City, Iowa Dear friend : - Mrs. B. J. Thompson of Forest City asked me to send you a report of the child welfare campaign of Winnebago County. I am afraid it will not be a very complete report now as I have forgotten much of it. One thousand two hundred seventy one (1271) children were weighed, measured, and examined by physicians and nurses.